I realized on close examination of my first print that the coupling was off a bit in the Y dimension. After a bit of troubleshooting I found that the X belt was too tight, causing too much friction for the Y axis and slippage. 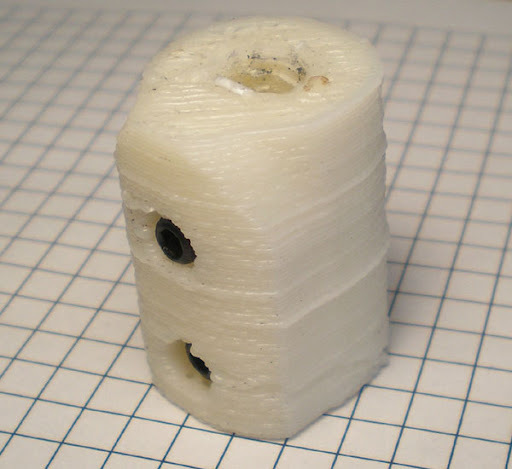 I fixed it and printed another coupling. 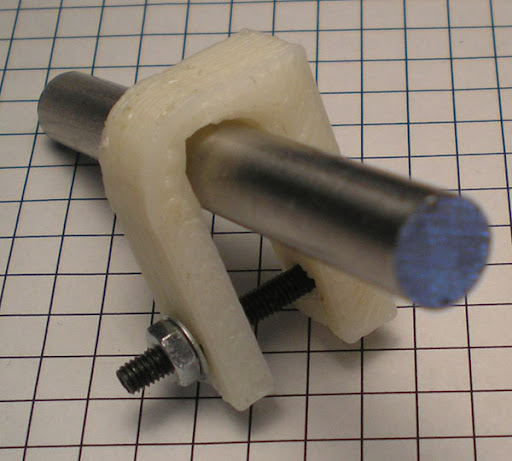 I also went ahead and printed a Darwin PCB clamp. I am very happy with the resolution. The motor coupling took 70 minutes. The PCB clamp took 30 minutes.